Fund raising in the United States is big business. Some 350,000 nonprofit organizations employ an army of fund raisers, all competing for their share, employing the latest technology in computerized direct mail and telemarketing. The American public is swamped with appeals on behalf of this cause or that, as ever more ambitious financial goals are set. Equally intense are demands on active citizens to staff fund-raising drives; a 1987 survey found that 48 percent of Americans engage in some sort of volunteer work. 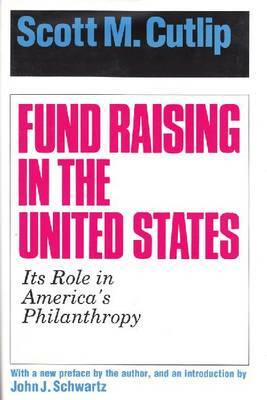 Popular philanthropy, financed by organized, high-pressure fund raising, is uniquely American.This classic history of fund raising in the United States, first published in 1965, has been out of print for the last twenty-two years despite continuing demand. It covers the role of fund raising from the seventeenth century to the present, with emphasis on mass secular fund raising in the twentieth century (religious fund raising is excluded). It documents techniques and problems that are central to the profession today, as well as events and persons on the cutting edge.As both Cutlip and Schwartz indicate in this new edition, since 1964 the climate for philanthropy has been conditioned by two factors-public policies and public perception. Reduction in federal grants to charities and changes in tax policies have increased the gap between needs and resources. Public perception is also a problem, as the result of rampant scandals. Competition for the philanthropic dollar is keener than ever; but the picture is not all gloomy. Schwartz outlines nine positive trends. Among them is increasing interest in philanthropic studies in many areas of academia, including history, sociology, economics, public policy, behavioral sciences, social work, and American studies. There is also increasing interest overseas, as American approaches to fund raising become an example for other nations.